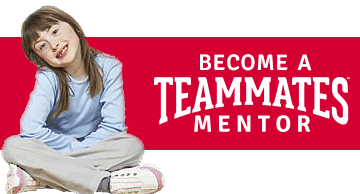 Championship Turf items can be purchased here or by clicking on the item below. 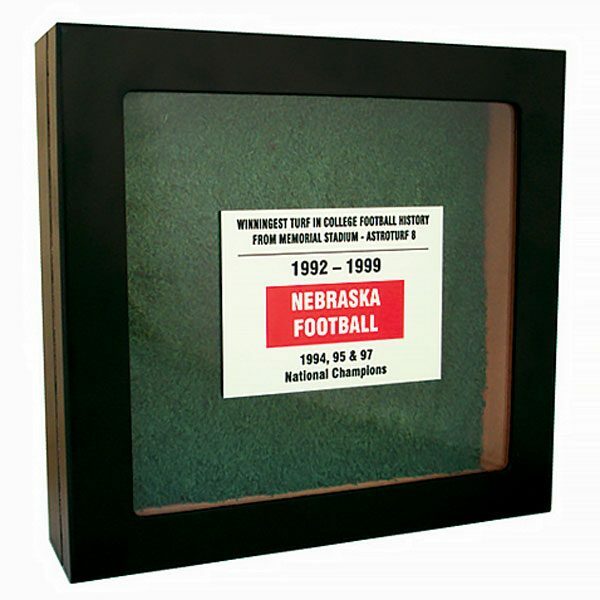 A black wooden display box a hinged lid inlaid with glass holds a piece of Astroturf-8, the playing surface at Memorial Stadium from 1992-1999. 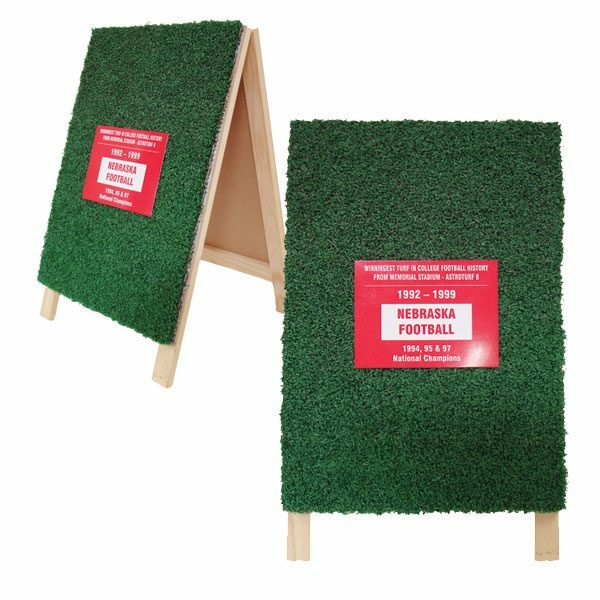 Each wooden easel holds a piece of Astroturf-8, the playing surface at Memorial Stadium from 1992-1999. 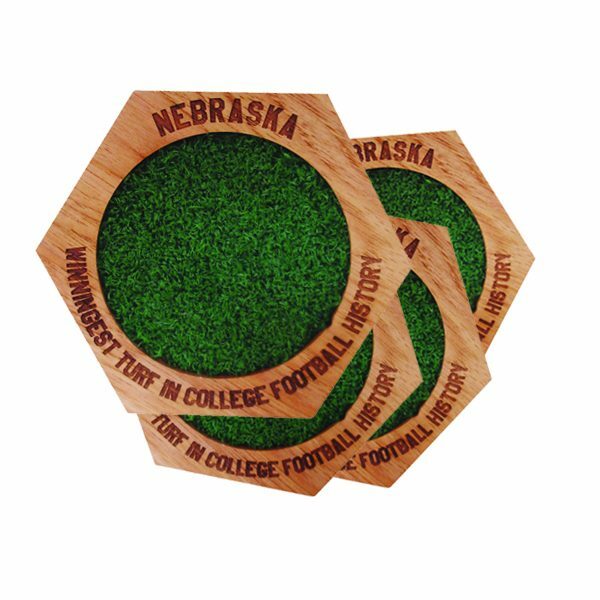 Perfect for entertaining or tailgating, this set of 4 coasters commemorates the winningest turf in football history. 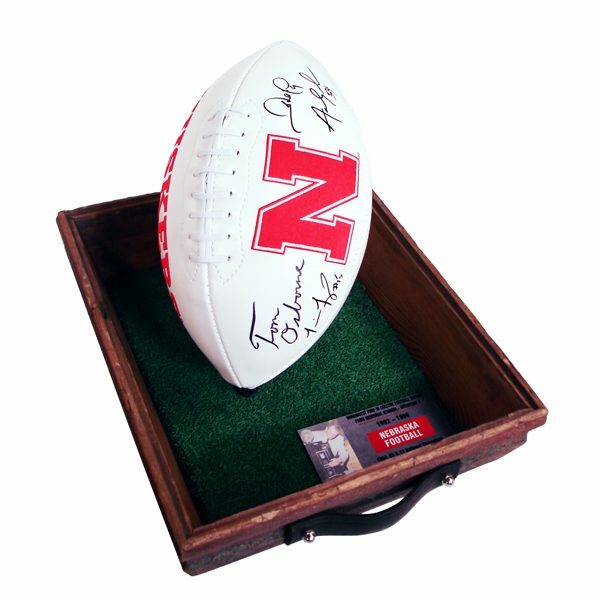 Each barnwood tray is produced in Ashland, NE and features Astroturf-8 from Memorial Stadium. A full bodied coffee by LaRue Coffee Roasterie with a touch of winey acidity and a cheerful finish! 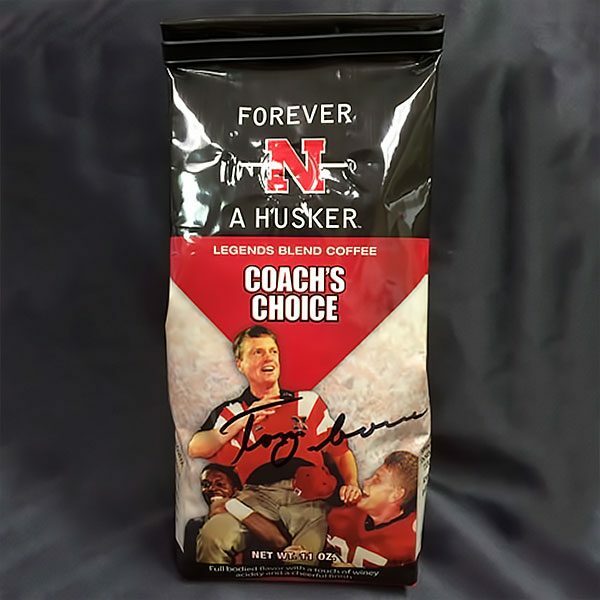 Autographed by Hall of Fame Coach Tom Osborne.